Where do I park for the meeting? There are many spots surrounding the building down town, as well as along some of the streets at the parking meters. As of October 2015, the parking meters in downtown Omaha require you to pay from 9 AM until 9 PM (Mon – Sat). You may also park in the exchange building parking areas after business hours (after five PM). 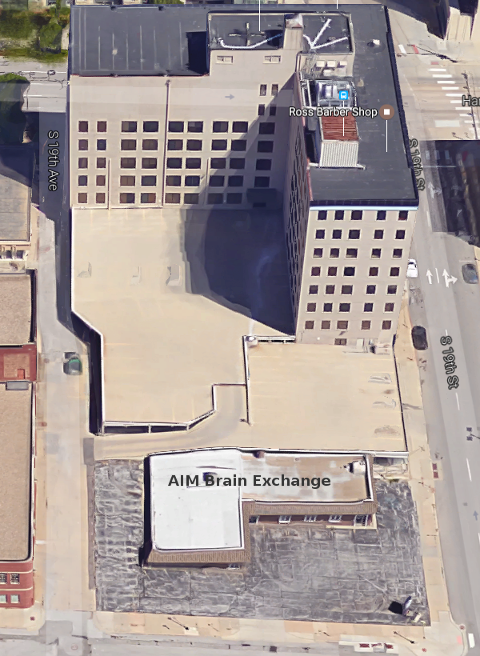 There are many parking spots in front of the AIM Brain Exchange that are available after 5 PM to park in.